"I have a lot of faith in the Dogecoin Core development team to keep the software stable and secure, but I think it says a lot about the state of the cryptocurrency space in general that a currency with a dog on it which hasn't released a software update in over 2 years has a $1B+ market cap." As you might imagine, Palmer and Dogecoin's co-creator Billy Markus created it "without much real thought." Palmer recently told Motherboard about the night he "sat down with a beer, I had too much time on my hands, and I bought Dogecoin.com." After that, software engineer Markus connected the dots to make it an actual digital currency, such as it is. 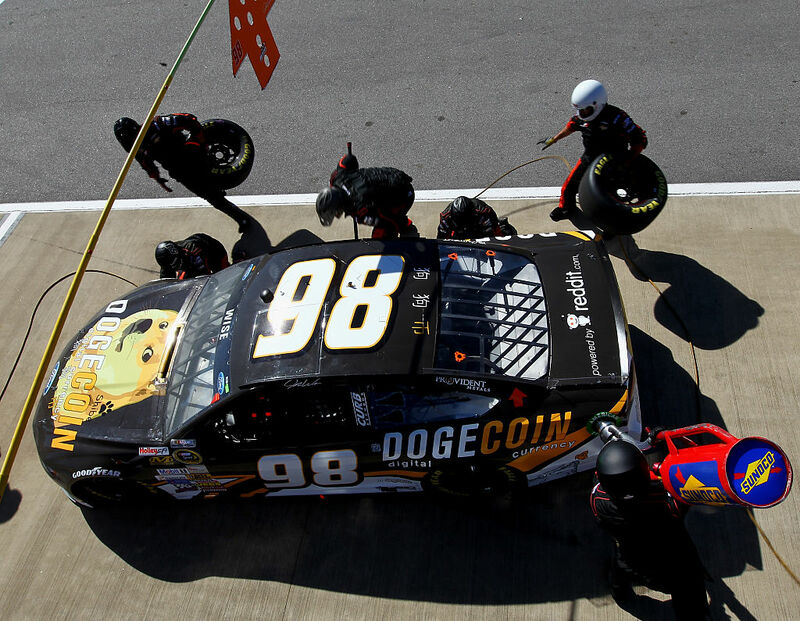 That was in December of 2013, and since then Dogecoin languished in humorous low-cost obscurity (although not so obscure it didn't snag a NASCAR sponsorship as pictured above, among other things, until December of last year when the cryptocurrency somewhat inexplicably began picking up value, spiking from $0.002 per coin to $0.012545 per coin as of this writing – with even higher values in between. At the peak of its value, Dogecoin had seen an increase of about 800 percent compared to its value in early December 2017.